FORWARD Ep. 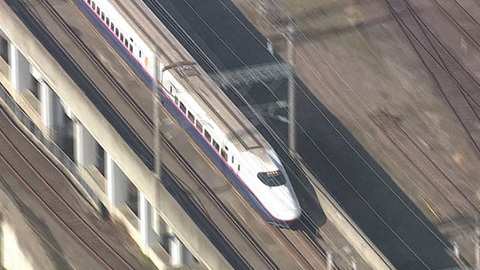 15 Overcoming the Disaster: Tohoku Shinkansen | jibtv.com | Japan International Broadcasting Inc.
Twenty-seven Shinkansen bullet trains were running on the Tohoku line when the earthquake hit on March 11, 2011. All of them stopped safely, without a single casualty. Various facilities and pieces of equipment, however, were severely damaged. Restoration work began quickly and service resumed throughout the line 50 days after the disaster. The program examines the Shinkansen safety technology and the efforts necessary to resume service.